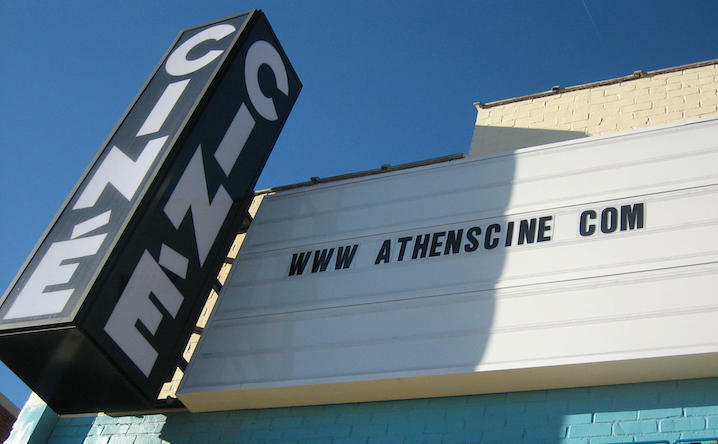 Downtown Athens' only art house cinema screens the latest independent and international films, as well as documentaries, festival discoveries, and classic movies. More than a movie theater, Ciné is a modern arts center, featuring an exhibit gallery by local visual artists, and the versatile Lab space is great for events, parties and live performances. Ciné offers a variety of cocktails and tasty treats, and gift cards and annual memberships are available. PLANNING A MEETING OR SPECIAL EVENT? Athens' lively center for film lovers also affords a new and unusual possibility as a space for a variety of private and business events. Cine's facilities can accommodate small intimate events as well as larger gatherings of up to 150 guests, and are well-suited for workshops, trainings, presentations, conferences, seminars, panel discussions, private receptions, reserved film screenings, and parties. State-of-the-art, cutting edge technology presents the highest possible level of projection and sound quality.